It is that time of the week again when Tron, a platform for deploying decentralized applications (Dapps), publishes its weekly Dapp report. Published on March 8, the report shows that the number of accounts on the main network has reached more than 2 million, signaling a 12.9 percent increase compared with the previous month. The 24-hour number of transactions recorded a 67 percent surge in the same period to reach nearly 2.4 million. Tron’s transaction number has witnessed accelerated growth. The daily Dapp transaction number has grown to nearly 940,000 and accounts for 39 percent of the total transactions on the network. Tron Dapp House data indicate that the blockchain platform has more than 187 Dapps as well as over 464 smart contracts. 10 decentralized exchanges (DEXs) have been developed on the blockchain protocol. There are 6 collection games, 40 Dapp tools, and 4 candy box projects on Tron. Compared with the previous week, there were notable increases in all the categories. The blockchain protocol is pleased with the overall state of the Dapp ecosystem. “Overall, TRON’s Dapp ecosystem is relatively well-rounded, forming a healthy organic trend,” reads an excerpt from the weekly report. The first Dapp introduced in the report is Lucky Slot, a game which recently made its way to the top of the list. Users win TRX through betting activities and taking part in a quiz. Those who bet and win get GO tokens. The GO tokens are used to join game mining. 70 percent of the platform’s revenue goes towards daily dividends and mining rewards. Users earn a referral bonus totaling 10 percent of the friends’ mining rewards if they invite friends to the game. The game has a simple and clean interface spiced up with fruit elements. Users click on the different fruit elements to initiate betting. The game has seven betting items and 24 slots on the gaming wheel. The odds are based on the number of betting items. The next Dapp for the week is Tron Round, a game with several rounds and stages. Each round has a number of stages, each with its own TRX target. When a user reaches the target for the current stage, 75 percent of the TRX will be returned to the players. Users who successfully invite others to the game stand a chance to earn 15 percent of their dividends. The game allows users to purchase Tron Idols. The user’s ownership of the Idols will be recorded on the blockchain. Two Tron Idols can lead to the creation of a new Tron Idol. Users of the game can make a profit by selling their Tron Idols through a Dutch auction. 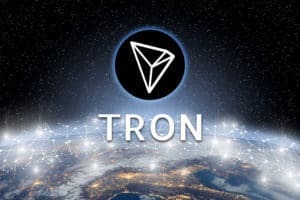 TRON [TRX] MainNet Accounts Exceed 2 Million As 24-hour Transaction Number Surges 67% in a Month was originally found on copy trading cryptocurrency | Blockchain News | Bitcoin News | blokt.com.